The provisional entry into force of the CETA is fast approaching. As early as September 21, the broad trade agreement between the European Union and Canada will be largely implemented, despite remaining doubts about its effects. 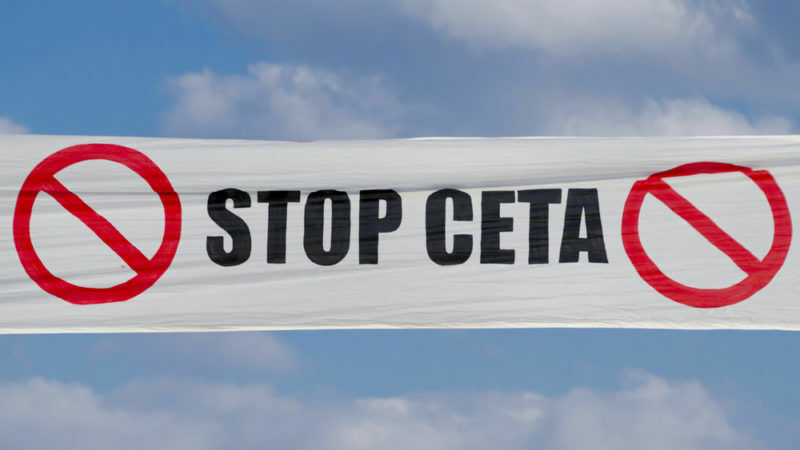 But before the September 21 deadline, the French committee tasked with the CETA’s impact assessment made its conclusions public on Friday (8 September). 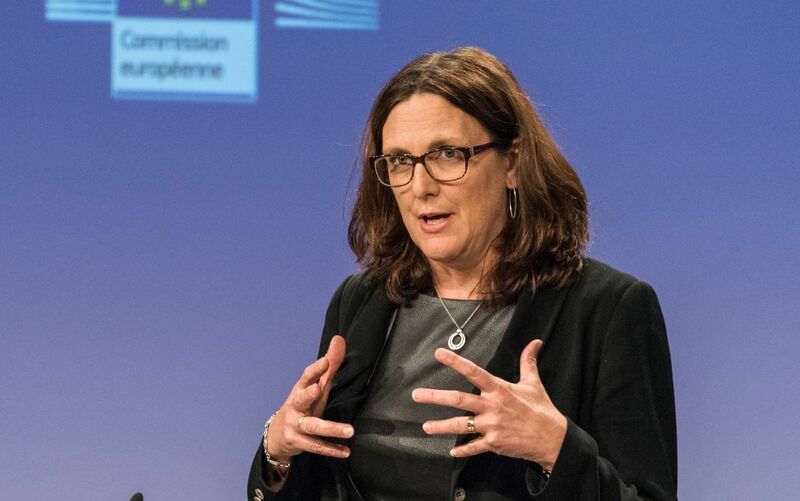 Launched on 5 July 5, the committee was asked to evaluate the agreement’s expected environmental and health impact, as well as making recommendations on the amendments to be made to the CETA and more broadly to the new-generation trade agreements that the EU is negotiating with the United States or Japan. And the CETA comes out badly in the assessment. A committee of experts chaired by Katheline Schubert, an environmental economist and university professor at the Paris School of Economics (EEP), brings together environmental, health and international law experts. Its members denounced the trade agreement’s lack of ambition on environmental aspects. 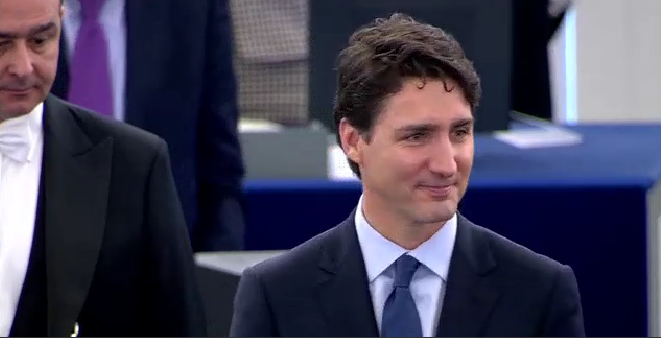 “CETA doesn’t give priority to health or environmental concerns,” they noted. They also lamented the absence of binding environmental commitments. To put a patch on it, the committee offered a series of amendments, including a climate veto that could block investments considered noxious for the planet. However, the timetable seems rushed for the committee, as provisional entry into force means that almost 90% of CETA would be implemented. “We’re worried about the timing. The government’s margin for manoeuvre to take into account our results is very limited by the provisional application of the agreement on September 21,” explained Karine Jacquemart, director general of the NGO Foodwatch. “90% of the agreement will be applied regardless of what this evaluation committee says and very soon 50,000 tons of beef will arrive on the European market, fed and bred in a way that is detrimental to our health, environment, traceability and animal welfare standards,” Socialist MEPs complained in a joint statement on 6 September. 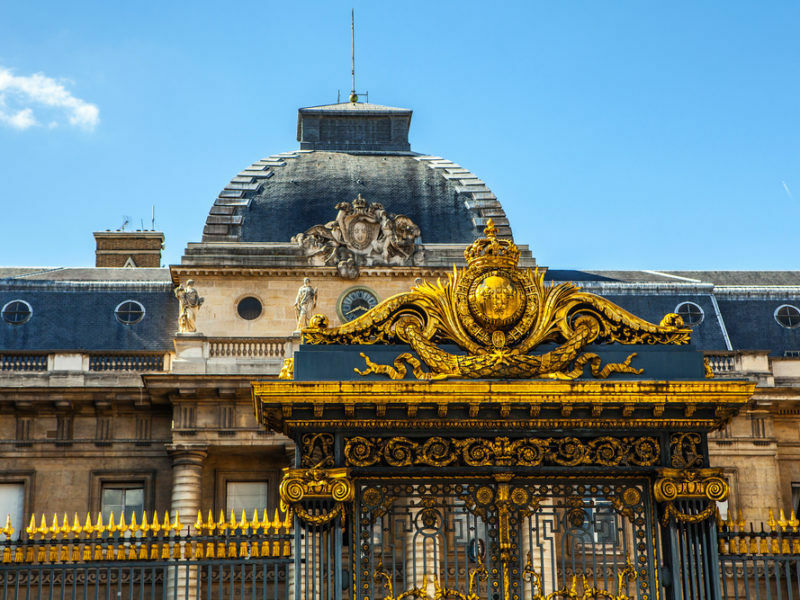 French Prime Minister Édouard Philippe has not yet decided what follow-up will be given to the committee’s conclusion. The amendments proposed by the committee and the government’s analysis of them will be presented on 13 September. Just one week before CETA takes effect. In addition to France, another European country has decided to intervene before agreement’s entry into force. This late submission, however, does not concern the whole of the free trade agreement, but the investment aspect. Strongly contested by several European countries, the investment part of the treaty provides a system of dispute settlement between investor and states. The mechanism envisaged by CETA, which was supposed to favour the settlement of disputes between a state and a foreign investor, had to be re-examined for the first time upon request from France, which feared a lack of balance in the system. At the time of the official signing of the CETA in Brussels in October 2016, Wallonia — Belgium’s French-speaking region — had threatened not to sign the treaty and denounced the potentially adverse effects of arbitration on the freedom of states to legislate, in particular in the fields of environment and of public health. If the signature had to take place, the legality of the arbitration procedure envisaged by the CETA had to be verified by the European Court. Almost a year later, Belgium appealed to the ECJ, which will have to decide on the compatibility of the arbitration procedure. The EJC’s review should proceed smoothly, since arbitration is one of the few CETA items that will enter into force only after ratification by national parliaments in all member states. For me any politician who agrees to the arbitration clause is guilty of treason. 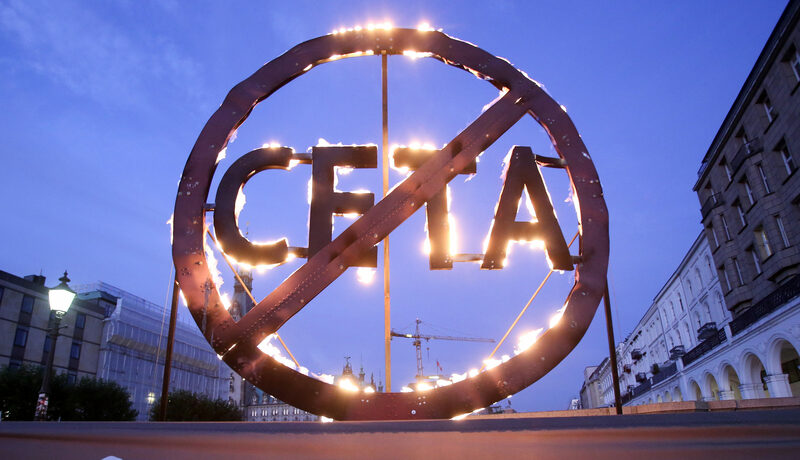 It seems that CETA has the worst parts of TTIP that was resoundingly rejected across Europe. If arbitration remains undefined how can CETA be implemented without a clear legal footing? Why only assess the environmental impacts? What about the impact of Canadian imports on European jobs and markets? How can this be called a trade deal if no one is analysing the trade?